It was a perfect day for championship baseball at Birmingham High School for this years' Fall A-Division Title. 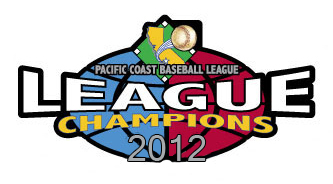 Top-seeded Los Animales earned home team status; while the Iron Pigs come here as the visiting team and are hoping to come away with their first PCBL Championship. With that being said, let's get right to the action! The Iron Pigs lead off with starting pitcher Lee Frankel. He promptly hits a double to center. He's followed by James Johnson who slaps a single into center field. Two batters later, Oscar Durran gets a 2-run single. The Iron Pigs settle for 2 runs in the inning to take the early 2-0 lead through half an inning of play. Los Animales lead off the bottom of the 1st with center fielder Ryan Gordon who singles. Tom Herbert follows with a walk. Two batters later, Sam Ramirez singles home Gordon and Herbert. Luis Pulido responds with a double down the left field line. The next two batters would reach base when one is hit by a pitch and the other reaches due to a fielding error with 2 runs scoring on the play. Two batters later, manager and starting pitcher Ric Pozo rips a 2-run single. Los Animales who end up with 6 runs in the inning to take a 6-2 lead through 1 complete. Los Animales would come to bat in the bottom of the 2nd inning; still maintaining the 6-2 lead. The first two batters would be retired; sending up Luis Pulido who doubled in his first at bat. He singles to keep the inning alive for Justin Jamroz who doubles to right. The next batter is Mike Persell. He reaches base safely due to an error on the left fielder and 2 runs score on the play. Batting next is shortstop Devin Shehab. He slaps an RBI double to left center. Los Animales end up with 3 runs in the inning; now leading 9-2 through 2 complete innings of play. The Iron Pigs send up Oscar Durran with 1 out in the 3rd inning. He singles to get his 2nd hit of the ballgame. Angelo Guidino follows with a single to left. Three batters later, Jesse Tibana hits an RBI single down the right field line. The Iron Pigs settle for the lone run in the inning; now trailing 9-3 through 2 1/2 innings of this fall title game. The Iron Pigs come to bat in the top of the 4th with the score still 9-3 Los Animales. They lead off with pitcher Lee Frankel who is already 2 for 2 on the day. He singles to left center for his third hit on the day. The next batter is catcher James Johnson. He rips a 2-run homer over the wall in left center field. The Iron Pigs settle for the 2 runs in the inning; courtesy of Johnson's 2-run shot. They now trail 9-5 though 3 1/2 innings of championship play. Los Animales comes to bat in the bottom of the 6th inning; still leading 9-5. Ruben Banuelos draws a 1-out walk. Two batters later, Baneulos is singled home by Luis Pulido who gets his third hit on the day. They settle for 1 run; now leading 10-5 through 6 complete. They come to bat in the bottom of the 7th; still up 10-5. Pitcher Ric Pozo is having a championship day to remember; still on the mound through 7 innings of work and comes to the plate with 2 hits and 2 RBI's to his credit. He singles to left; his 3rd of the contest. Two batters later, leadoff hitter Ryan Gordan doubles; scoring Pozo. Los Animales add to their lead; now up 11-5 as we've completed 7 innings of championship play. The Iron Pigs come to bat in the top of the 8th; trailing 11-5 and running out of time. Pinch hitter Paul Harshaw hits a 1-out double down the left field line. Two batters later, James Johnson singles him home for his 3rd hit and his 3rd RBI of the day. However, they have to settle for the lone run in the inning. Iron Pigs trail 11-6 as we move to the bottom of the 8th. Los Animales lead off the 8th with Ruben Banuelos who draws a walk. Sam Ramirez follows with an infield hit. Both steal bases to get in scoring position. Three batters later, Mike Persell hits a sacrifice fly to center; scoring Banuelos from third. They end up with the 1 run in the 8th; now leading 12-6 as we go to the top of the 9th inning in this contest. The Iron Pigs would get singles from Angelo Guidino and Dalton Roderick in the top of the 9th inning, but that would be it as they come up empty in their last at bat. Congratulations to the 2012 Fall Champion Los Animales; who win this championship in impressive fashion by a final score of 12-6. The MVP of this fall title game is manager and starting pitcher Ric Pozo. He pitches a complete game to get the victory; while at the same time going 3 for 4 with 3 singles and 2 RBI's on the day. Congratulations on a great performance, Ric! 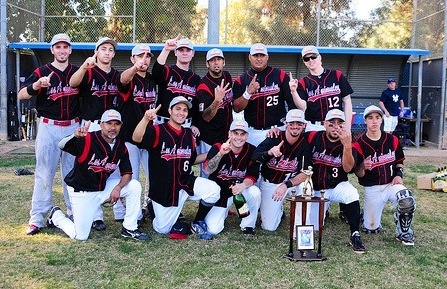 Also, it has to be mentioned that Iron Pig center fielder Mike Alcaide had the defensive plays of the championship; making two diving catches in the late innings of this contest that were anything but routine. Nice game, Mike!